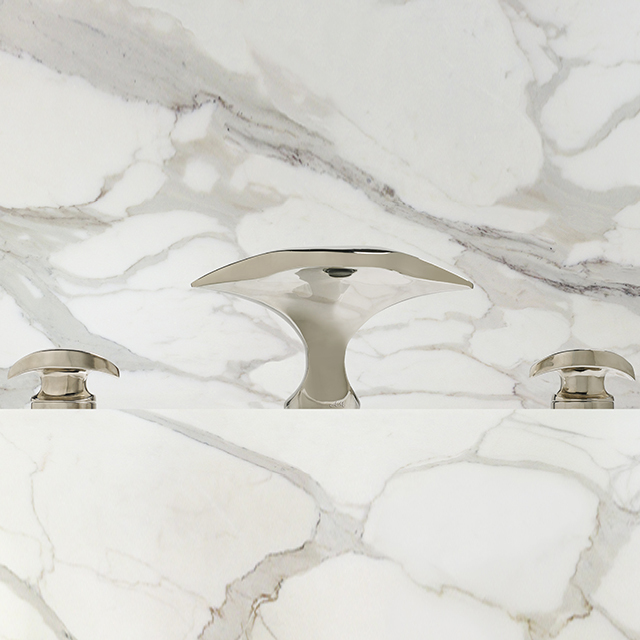 Aurora lavatory faucet spout with Contour style widespread handles and soft-touch drain. 1/2” valves. Water saving 1.0 GPM lavatory faucet.